Gartner is an information and technology research and advisory firm with a world-wide focus. 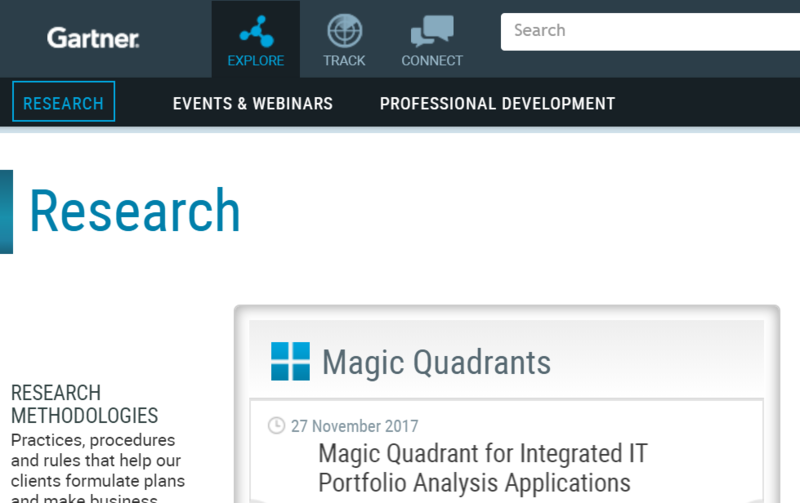 It provides research analyses, predictions, reports, briefings and a wide variety of other materials for IT professionals and specialists working in all information and technology fields. The site includes ‘Research Fast Finder’ materials organised by markets, topics and industries; research methodology tools; blogs and podcasts; and provides information about the company’s consultancy, conferencing and training opportunities and initiatives. This resource has been licensed for the university by Information Systems. Posted in Gartner on January 11 2008 by Resource Discovery and Innovation Team Manager.